There really is nothing like sinking into a bold fragrance during winter, and quite rightly so. A richer scent will last longer on skin that is naturally drier in the colder months – and after all, when else can you get away with wearing a fragrance powerhouse if not at wintertime? There are very many new fragrance releases throughout the year, but it’s fair to say that a relatively small number stand out early on as potential classics. I think Boucheron’s Place Vendome is one of these rare few. The showstopping bottle, the carefully composed floral oriental juice that perfectly straddles the line between luxury and modernity, and the charming story that ties it all together beautifully give Place Vendome the makings of a great pillar fragrance. Place Vendome is so-named for the location of the brand’s flagship boutique in Paris, and is influenced by the sights, sounds and scents of the iconic retail hub. The quilted design of the glasswork resembles the paving stones of the famous square, while the statuesque shape of the bottle is inspired by its famous columns. 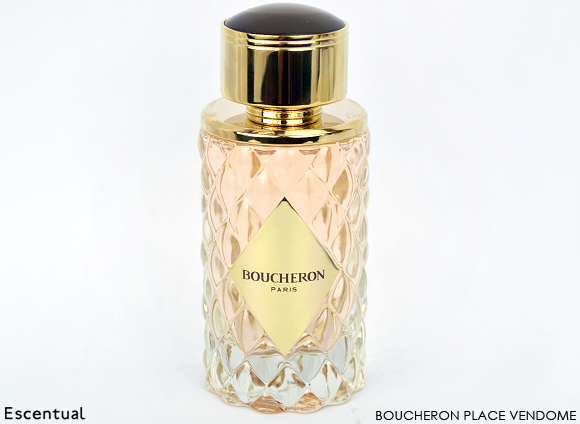 The beautiful (and reassuringly weighty) bottle is topped with a heavy jewelled lid which resembles one of Boucheron’s precious gems. It’s a completely timeless piece. The source of inspiration for the juice is the afternoon sun, which makes the jeweller’s windows on Place Vendome sparkle and gives the gems an ethereal, golden glow. The result is a luminous nectar of a fragrance, heady, sweet and instantly appealing. Orange blossom is the dominant note in this one, which manages to be both sunny and refined thanks to a subtly spicy dose of sparkly pink pepper and a classic heart of rose and jasmine. In the dry down, the fragrance is defined by a combination of honey and benzoin. The duo creates a languid, indulgent mood that captures the imagery of golden light beautifully. The sillage and projection of Place Vendome is magnificent – I highly recommend this fragrance if you’re looking for a new signature that is distinctive but still easy to wear. Now, the eponymous Marni Eau de Parfum is something of a rare breed. A designer fragrance with a niche outlook, Marni’s founder Consuelo Castiglioni not only wanted to play an integral part in its creation, but had a very clear vision of how it should smell. The result is a rather distinctive juice that has won very many admirers in the fragrance community – and a fragrance that I haven’t been able to go a week without wearing at least once since it launched with us here at Escentual! The Marni Eau de Parfum is distinctive right from the off. Its playful bottle resembles a spotted spinning top, which leads to you believe that the fragrance will be somewhat girlish, too. Wrong! The juice is as subversive as Marni’s fashions, with a fairly masculine character and rich notes. I could not have been more surprised when I first sampled it… I really love it when that happens. Initially, Marni is earthy and so cool that it’s almost crisp, despite its heavy dose of spice. The combination of pepper, ginger and rose here is pretty addictive, and it just gets better and better as the cinnamon unfurls and warms everything up. The core of the fragrance, and the note that I can detect throughout Marni’s lifespan, is patchouli. This is a nicely cleaned up and refined patchouli, though, which derives its darkness from incense. When balanced with the coolness of ginger and the fuzzy warmth of cinnamon, it becomes something truly special. It’s deep, it’s intense and it’s so very interesting – if you’re looking for something a little different as your new winter fragrance, look no further. For a more in-depth review of Marni, read our fragrance expert Thomas’ full review here. The launch of a Jimmy Choo Parfum is now an annual occurrence, much to the delight of the fragrance’s (many) fans. This year’s edition is presented in a beautiful white flacon, and the juice is amped up with the addition of a candied orange note. Jimmy Choo is one of those fragrances that you can name from ten paces, such is its distinctiveness. This intense edition not only amplifies that recognisable signature, but also massively increases its lasting power. Given its 20% concentration of fragrance, it’s unsurprising that only a very small application is needed to make a very big impact. Everything is amplified, from the top notes right through to the base notes – so much so, that at first the Jimmy Choo Parfum bears surprisingly little resemblance to the original Eau de Parfum. The first wave of scent is all about fizzy, honeyed fruit. It’s pretty sweet, and remains so well into the development of the heart notes. The combination of tiger orchid, candied orange and toffee chypre are most definitely the blueprint of this fragrance, offering saccharine facets right through to the woody drydown. 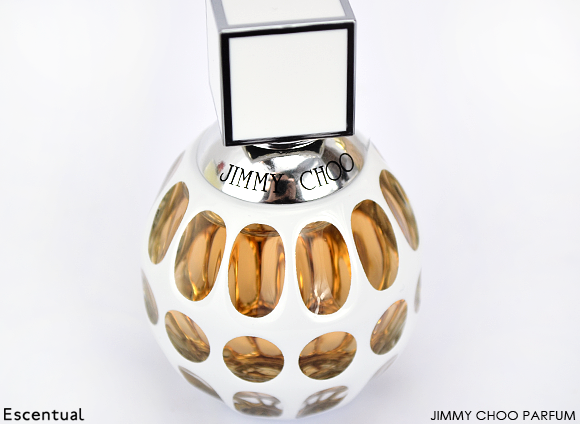 The Jimmy Choo Parfum is an ideal head-turning party fragrance. It’s incredibly vivacious, and the sillage and longevity are HUGE – it lasts for a good 12 hours on my skin. Fans of Jimmy Choo and Viktor & Rolf’s Flowerbomb will fall hard for this. If I could only choose one fragrance to wear all winter long, it would be this from Etat Libre d’Orange – a revelation that I was actually quite surprised by. I have a proclivity for sweet and heady powerhouse scents at wintertime (Yves Saint Laurent Belle d’Opium, Dior Addict or Guerlain La Petite Robe Noire are my usual go-tos), and La Fin du Monde doesn’t really fit that bill. And yet, after trying the fragrance for the first time a couple of months ago I fell, and I fell hard. The La Fin du Monde juice sounds a little bit bonkers on paper, but it’s absolutely wonderful when worn. Popcorn is a prominent note, and it really doesn’t feel like a novelty – I think that it’s what makes this fragrance really quite special. When paired with black pepper and sesame, the popcorn becomes slightly nutty, with a smooth and buttery flourish that provides some sweetness. My other favourite aspect of the fragrance is the gritty cannon powder accord, a complete juxtaposition to the frivolity of popcorn. It grounds the sweetness beautifully, lending a smoky, mineral character to the fragrance that I find to be completely and utterly addictive. Make sure that you try this one on your skin if you can. For a more in-depth review, see our fragrance expert Thomas’ thoughts here. 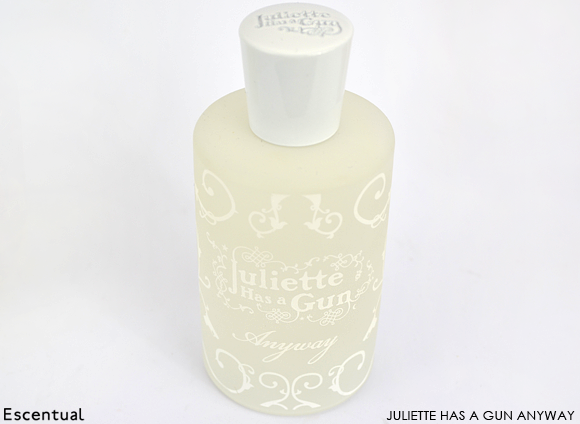 As I was finding my fragrance feet as a teen, Juliette Has a Gun’s Lady Vengeance and Miss Charming were consistently at the very top of my wish list. It’s fair to say that I have a real soft spot for this quirky brand. After the ultra romance of 2011’s Romantina and the indulgence of Mad Madame last year comes Anyway, the latest chapter in our heroine Juliette’s fragrant tale. Anyway, according to founder Romano Ricci, is a riposte to fancy fragrance jargon and overcomplicated ingredients lists. I think that that’s quite a statement for a niche brand, especially one that is famed for composing its fragrance and scent stories with aplomb. The motivation for this scent is to provide a little bit of easy-to-wear light relief in a wardrobe of heavy hitting scents, conjuring happy feelings with its insouciant vibe. And I must say it performs that job very well. Anyway has but 15 ingredients and is a little linear in style, with a trifecta of citrus, musk and ambroxan serving as its driving force. The lime essence opening is akin to the intense freshness of a gin and tonic, with a slight bitterness from neroli that zings nicely against the musky backdrop. The development is lovely – this is definitely a skin scent – with a resonant woody undertone that is paired well with the smoothness of ambroxan (which made a prominent appearance in Juliette Has A Gun’s other foray into mutinous scent, 2010’s Not A Perfume). Another key note is Hedione HC, purportedly reminiscent of sun on flowers, which gives the fragrance a hesperidic quality. Any of those fragrances tickling your fancy? 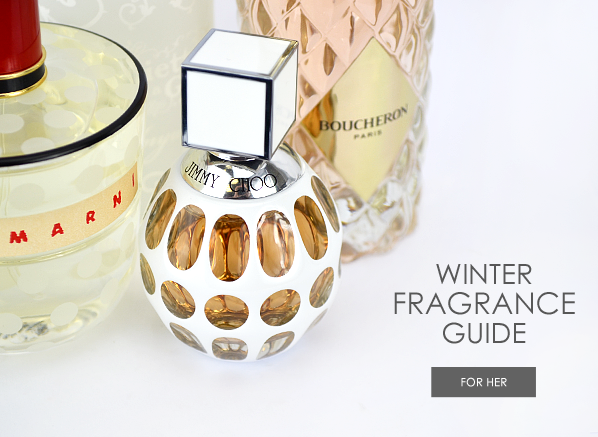 Let me know your favourite winter fragrances in the comment box below! This entry was posted on Tuesday, December 10th, 2013 at 9:00 am and is filed under Fragrance, Spotlight On, Tried & Tested. You can follow any responses to this entry through the RSS 2.0 feed. You can skip to the end and leave a response. Pinging is currently not allowed.